For someone so laid back she can barely finish her senten... Lana Del Rey certainly maintains a prodigious work rate. 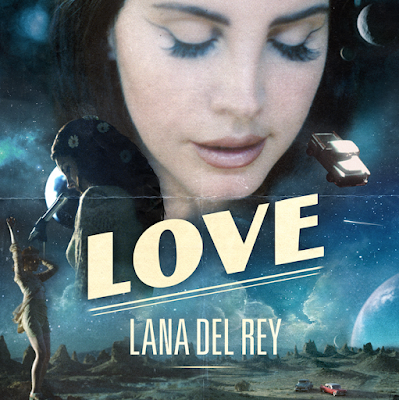 Love, released at midnight last night, is the first single from her fourth album in six years. I drafted an article where I called it her best single since Summer Sadness, but then I took a minute to listen to Ultraviolence, Ride, High By The Beach and West Coast (to name just a few) and realised she's never had a truly duff record. Love was written with Rick Nowels - one of female pop's greatest catalysers, responsible for everything from Belinda Carlisle's Heaven On Earth to Lykke Li's Sadness Is A Blessing - who was credited on all but one of the tracks of Lana's last album, Honeymoon. The same will be true for album number four, rumoured to be called Best American Record, while a press release says there are other special guests "TBC". (If The Weeknd isn't one of them, I'll eat my hat). "I made my first four albums for me," says Lana, "but this one is for my fans and about where I hope we are all headed".